Above (L-R): Creme Peche, Creme Blush and Beige. In my quest to find the most exquisite of foundations, I recently had the chance to try the illustrious La Prairie Skin Caviar Concealer + Foundation SPF 15 (available at Nordstrom, Neiman Marcus, Bloomingdale's, Sak's and Selfridges). Previous mentions and usage of the formula (HERE and HERE) have sparked great interest and I am excited to present my cumulative thoughts on this luxurious foundation after working with it for the past month. Above: Infused with actual Caviar-extract, this is an utterly luxurious foundation + concealer formula. Preliminarily, many of my readers who knew I was engaging in trial with this formula asked me if it was worth it, likely because this foundation resides at a higher price point than most. That being said, I am happy to confirm that it is indeed a worthy investment. For those that are taken back at the thought of a $200 foundation, I think it is imperative to note that, for the price, one is receiving both foundation (with significant skincare benefits) AND a perfectly matched, ultra-pigmented concealer. When one takes into account the cost of both product in the high-end beauty sector, the price seems more reasonable, no? Above and below...the full ingredients list. Over my month of trial, my extremely sensitive skin hasn't had any adverse reactions to this formula! APPLICATION: I prefer to apply this with a dampened Beauty Blender directly following an application of Le Metier de Beaute Peau Vierge #2. If I know I am going to be outdoors in intense sun, then I will also add a spray of the Goldfaden MD Sun Visor SPF 30 for added protection. COVERAGE: This foundation has lovely medium to full coverage upon initial application. There is no need to build it up, but I did a second application over a dark spot and found that it layered without caking or looking unnatural. Those seeking authentic medium to full coverage that banishes imperfections flawlessly while still looking natural will love this. TEXTURE and FINISH: The texture of the foundation is plush and creamy. It is emollient enough to smooth over the skin (even independent of primer...I tried this once) and blends into the canvas while reducing the appearance of pores and dark spots. Although it feels "substantial," it isn't heavy and my skin feels very comfortable over the duration of wear. I would deem this a satin-matte finish. There is no obvious shimmer, but somehow, the creamy texture imparts the look of naturally radiant and healthy skin. Even though there is SPF 15, I haven't noticed any flashback in photos. The concealer texture is quite creamy and thick and ever so concentrated...it could almost come across as having a bit of "tack," but I think that is what makes it so stalwart in the under eye region. I just use my Jenny Patinkin Domed Multi-Blender Brush for a completely seamless application. LASTING POWER: I get 6-7 hours of wear time without need for touch ups. Often, I don't even set this with powder (the initial finish is just so lovely on its own) and will use just a touch of Surratt Diaphane Powder, Eve Lom Sheer Radiance Powder or Le Metier de Beaute Peau Vierge Powder as a mid-day reinforcement. With hours of extended wear, my skin does not get slippery or shiny, rather, the glow merely increases; by the end of the day, my skin still feels comfortable and like it is able to breathe Although this isn't entirely transfer-proof (most foundations are not), I do find that it basically stays in place without pooling, migrating or streaking. OVERALL: I am entirely impressed with this foundation. As aforementioned, the concealer is creamy and extremely concentrated...a pin head amount covers dark circles and discoloration and, as long as I don't apply too much, there is no creasing! The foundation is equally effective. A nickel-sized amount is all that is necessary to fully perfect the canvas and my skin is left even, smooth, balanced and radiant. This foundation has received glowing reviews for years and my experience with it fully confirms the validity of this praise. It's magnificent! Above (from L-R): Creme Peche, Creme Blush and Beige...the built-in, corresponding concealer on the top of the frosted glass jar is a packaging innovation. The ultimate self-indulgence, Skin Caviar Concealer • Foundation SPF 15 boldly approaches makeup on a dazzling level customary to La Prairie. The skincare scientists at La Prairie enlisted the renowned benefits and groundbreaking techniques exclusive to the Skin Caviar Collection to create a beautiful and beneficial cosmetic treatment to reveal a younger, fresher and flawless face. La Prairie’s Skin Caviar Concealer • Foundation SPF 15 boasts an advanced silicone and polymer technology utilizing “cross linked” chemistry to bind all treatments and pigments into a silken veil of age-altering colour to promote a smooth, radiant complexion. Encapsulated, high-powered concentrations of skin firming caviar extracts, moisturizing liposomes, UVA/UVB sunscreens, anti-oxidants, optical diffusers and long- wearing pigments help firm and lift the face, transforming its appearance, texture and overall luminescence. • Essential firming properties found in Caviar Extract, Algae Extract, Seaweed Proteins, Malt Extract and La Prairie’s exclusive Cellular Complex help nourish and energize the skin and provide de-aging benefits for the overall appearance of younger, firmer skin. • Ultraviolet absorbers plus an anti-oxidant complex containing Vitamin E help neutralize free radicals that can potentially damage the skin. • Moisturizing properties including Glycerin, Petrolatum and Dimethicone along with essential Amino Acids are encapsulated in Liposome Delivery Systems for targeted and controlled moisturization to the upper levels of the skin. La Prairie’s Skin Caviar Concealer • Foundation SPF 15 provides exceptional pigment technology to impart smooth and continuous coverage with extraordinary prolonged wear. Available in 12 full-coverage, luminous shades, Skin Caviar Concealer • Foundation SPF 15 is ingeniously packaged with a Caviar-rich, colour- coordinated professional concealer in the cap of each foundation jar along with a specially created nylon brush for a smooth, easy and non-irritating application. Above: The jar has an applicator paddle to easily transfer the formula for application. I put a dab on the back of my freshly-washed hand and then apply with a damp Beauty Blender. On the skin, Creme Blush and Beige look quite similar, however, the undertones of the corresponding concealers are different; Creme Blush's concealer is neutral to pink and Beige's concealer has a yellow undertone. Above: In direct sunlight (no flash). Above: In mixed outdoor lighting. Bottom Line: I am truly glad that I finally tried the La Prairie Skin Caviar Concealer + Foundation SPF 15 (available at Nordstrom, Neiman Marcus, Bloomingdale's, Sak's and Selfridges). As a foundation fanatic--who, I might add, has spent the bulk of her beauty budget on this singular product over the years--I am thoroughly pleased that this formula lives up to it's luxurious reputation. Possessing classic, flawless coverage, a comfortable, lasting finish and skincare benefits from precious ingredients, this formula is in a class by itself and should be on the wish lists of those who pursue the best foundation options available as mightily as I do. This will continue to be in my foundation rotation! Have YOU tried the La Prairie Skin Caviar Concealer + Foundation? Thoughts? ** PR sample provided for review (the rest bought by me), however, as always, all of my opinions are expressly and unequivocally my own. Oh my word! Your skin is flawless in every single picture. I was dreading this review coming out because I knew it would be glowing - you are wearing this in every picture I have seen of you that gave me skin envy. I have a major internal conflict going on right now with price vs benefits haha. Thank you so much, Ashlyn...truly, this foundation is incredible and does wonders for the skin. I completely understand the conflict, as this is a serious investment ; ) Let me know if I can answer any questions along the way! The foundation looks amazing on you! Thank you so much! It is an easy formula to wear as it covers a multitude of imperfections! I really enjoy and have heavily relied on your blog for advice and accuracy of color in swatches. I also am both amazed and love the fact that your reviews are so thorough. You truly are an invaluable asset for one who may not be able to see/test the products readily. Could you please give me an idea of the color and undertone of the mocha. I heard it was changed and has a more orange/yellow undertone. I could always add bronzer to darken the shade, as I am Maestro Compact #9 and Chanel perfection lumiere in Beige Ambre 54 or 64. Thank you for the very kind and encouraging words! With regards to your question, I don't personally have Mocha in my possession, but when I looked at it in-store, I noted that it indeed is a deep beige with warm golden undertones. It also appears to be the darkest shade in the spectrum for this formula. I tried to leave a comment but I'm not sure if it worked! What a great post, and this foundation looks amazing on you. The part where you compare it to other foundations is especially helpful! Do you find it's similar to the cle de peau cream foundation? It looks like it might be. Thanks again, just love your blog! xoxo. I just got your comment so your last one must not have gone through. Thanks for trying again and also for your kind words about this post! I do find similarities to the Cle de Peau Cream formula in terms of coverage, finish and lasting power, though I think the Cle de Peau Cream is a bit more matte finish than the La Prairie...which is more of a satin matte! How would you compare this to Tom Fords's stick foundation in terms of finish and coverage? I would say that these formulas have a similar finish (satin-matte, creamy and skin-finish), although the La Prairie has more initial coverage (medium to full in one coat) than the TF Stick (light medium with one coat, medium to full with a couple to a few). Thanks so much Rachel, I got the LP this weekend. Also went to the TF class at Neimans on Sat 2nd and tried the TF stick and liquid in Tawny. Much preferred the LP and Mocha was a perfect match for my Indian complexion. Thanks to you, I would never have considered LP! I move to Rome, Italy on Mon so will continue reading your blog from there. Just want to let you know that since you changed servers your pages load very very slowly and scrolling down takes forever. My pleasure! I am so glad that you found a match and love it! It is such a special formula. I wish you safe travels as you move to Rome; that sounds amazing! Please keep me posted on the transition. I will look into why my pages are loading slowly...I haven't changed servers, but I did upgrade my camera this year and perhaps the higher quality images take more time to load. Hi Rachel, arrived in Rome with hubby and cat, and love it here. Missing So Cal but reading your blog keeps me connected! Pages are loading better but internet is slow here. Too used to our high tech lives in CA! xoxo - have a great summer! Can't wait to hear about your adventures in Rome...please continue to keep in touch! Thanks so much for a wonderful and thorough review! I've been eyeing this for a while. I'm a NC 23-25 with yellow undertones. I currently use Cle de Peau Cream Foundation in O20 & Estee Lauder Double Wear in Creamy Vanilla. Does this foundation offer full coverage? I have some reservations about Creme Blush because it has a pink base. It often clashes with my yellow undertones. Which do you think is the best shade for me? Thanks a lot for your help! 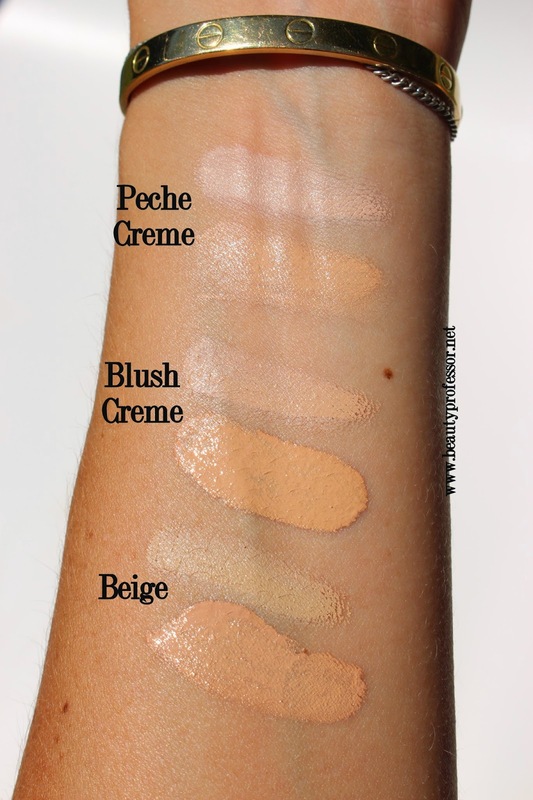 Thanks for the kind comment...I would recommend the shade Beige (which I wear for most of the year) as it works really well for a NC 25 but if you are feeling like your skin is currently lighter than that, then the Peche Creme is great (closer to a NC 20-23). The formula is full coverage and yet still very natural on the skin! Thanks so much for your recommendation, I really appreciate it! :) I have melasma (brown patches & spots on my face). I'm always on the prowl for the next HG full coverage foundation. I noticed your comparison of LP with other foundations. It has less coverage than By Terry, KGD & Hourglass. I've heard some really positive things about By Terry. So I've decided to give it a try. I ordered #7 Vanilla Beige. If this doesn't work out, I might try LP. It's pricier than By Terry and has less coverage though. I'm currently using O20 in Cle de Peau Cream Foundation & Cream Vanilla in Estee Lauder Double Wear. My go-to concealer is Cle de Peau Beige. I can't wait to try out By Terry. I also read your review of le Metier de Beaute Peau Vierge Concealer. How do you like that compared with CDP? Do you think Shade 2 is the right shade for me? You mentioned that it’s sheer. I don’t want it to be too sheer or else it won’t cover up my melasma. As it is, I have to do some layering with CdP & EL to make it work. Thanks a lot for your help & happy holidays! My pleasure! I am excited for your foundation order! I do love the LMdB Concealer but think that the CdP is creamier; that being said, the LMdB has skincare benefits for refining and increasing evenness so that might be of interest! I think you'll find a match with shade #2. Thanks so much for your help! :) I purchased LMdB's Even Things Out Set on their web site. It comes with the Peau Vierge Dark Spot Corrector & Correcteur Concealer. There's no option for a shade, but I emailed customer service and they said they'd be able to send me #2. I'm so excited, can't wait to get the By Terry & LMdB! I'm a real fan of your blogs & videos. They're so informative & helpful! Many thanks & Happy New Year! I am so glad you were able to get the Peau Vierge pair...I hope you enjoy it along with your By Terry and LMdB loot! Thank you so much for such a thorough review ^^ Every detail is so on point ! I would suggest the Beige shade, or perhaps Sand Beige (which I haven't seen in person). I wear a lot of the same shades that you mention and Beige works for me in summer! 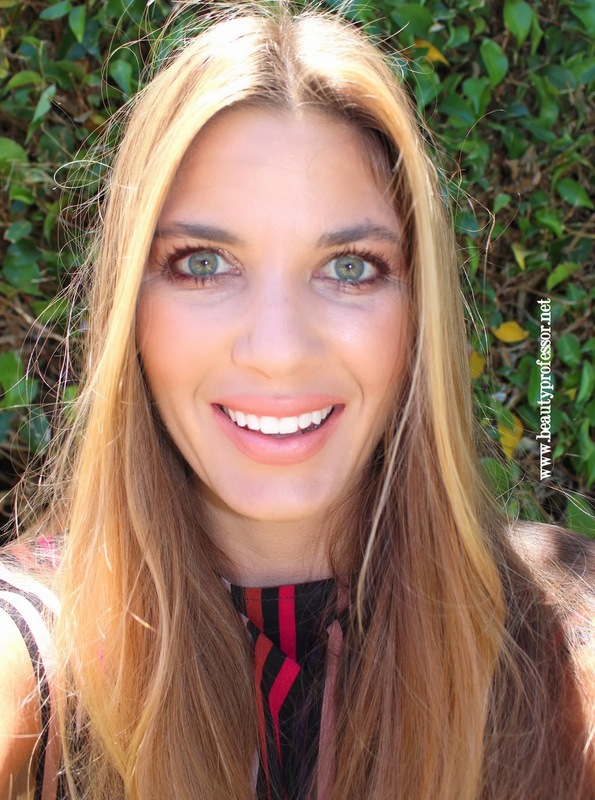 Thank you for your detailed review of La Prairie's Skin Caviar concealer foundation. Your skin looks perfect in your images. I know I can always find a thorough and trusted review from you. 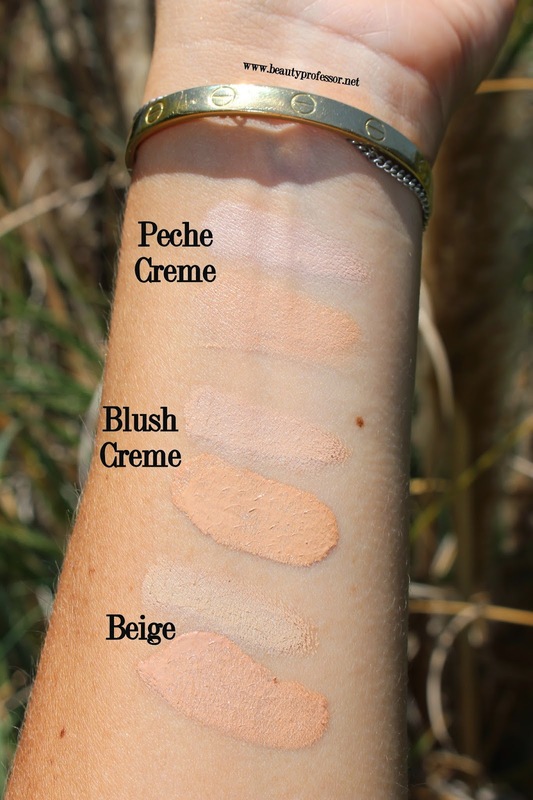 I wear similar shades in foundations as you do, and Beige looked like a perfect summer shade for me. In winter I am lighter but still prefer a yellow warmer shade to give me a bit of a glow. But here in the Netherlands there are only 9 shades available of which there are 3 beiges: Sand, Honey and Golden Beige. Do you perhaps know which would be a good match? Thanks for the kind comment!! I am guessing that Sand will be a better match for you in the winter but since the shades recently have been updated, you may want to check to see what is now available! Hi I have blond hair blue eyes and skin is fair but not too fair and I have red undertones in my skin which color would best suit me? I began using La Prairie about 6 years ago. The rep. at Bloomingdales suggested Soleil Peche. When I first purchased the Skin Caviar Foundation the cost was $ 185.00. I thought I was nuts then for spending that kind of money for foundation. Now, it's shot up to $225.00!! It's been very frustrating searching for a "somewhat" comparable shade and texture with a more palatable price tag. I've tried so many foundations. Having no luck. Please, any suggestions?